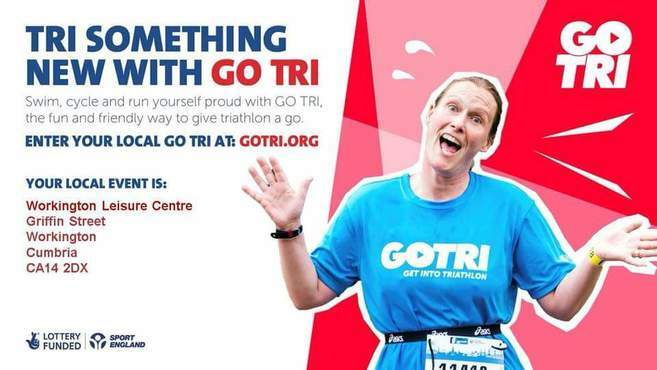 Workington Leisure Centre will be hosting a GO TRI Event, open to all abilities. Test yourself with a 300m swim in our fabulous pool, bike 6.5km and finish with a 4km run. Both bike and run sections are traffic free and mostly off road. This event is perfect for those who want to experience there first ever TRI challenge and is also for those accomplished competitors. Our Fitness Instructors have planned a 6 week training programme and can assist with guidance and advice for personal fitness and transitions for the event. The event cost is £5 for Workington Leisure Centre members and £10 for non-members. Entry Forms are available from the centre where you can also pay and enter. Copies of the run and bike routes can be collected from the centre as well.